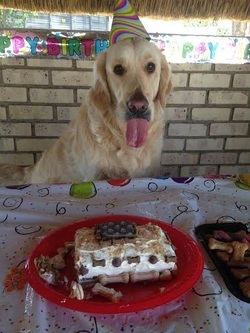 Is there a special date coming up for your fur baby that you'd like to celebrate? 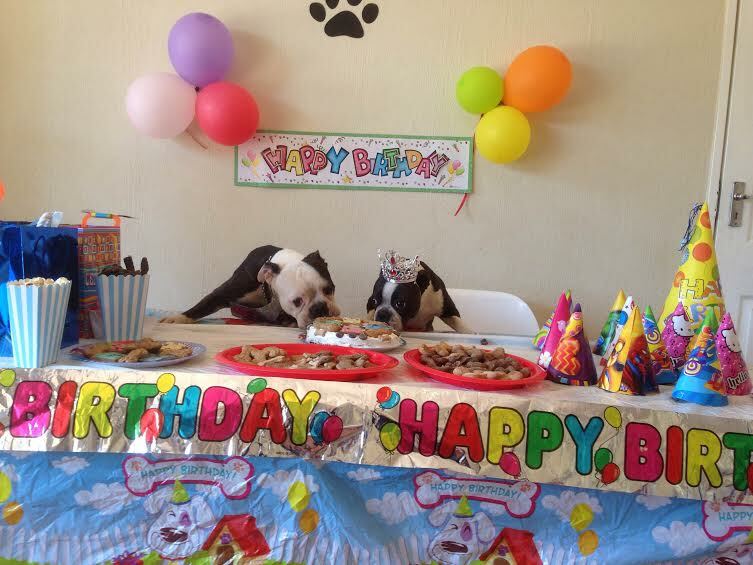 Maybe it's your dog's first birthday, a puppy shower or Bark Mitzvah? Let us help you create that special moment! 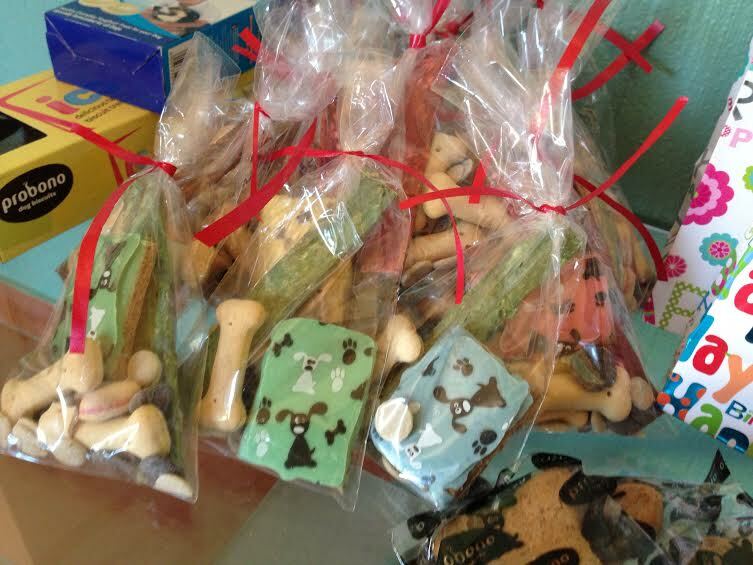 At Happy Tails Doggy Daycare, we provide personalised party hampers to make your fur baby's day that extra bit special. This service is available to both Happy Tails clients and non-clients. We will also include a pamphlet with ideas on how to make his/her birthday a big success! 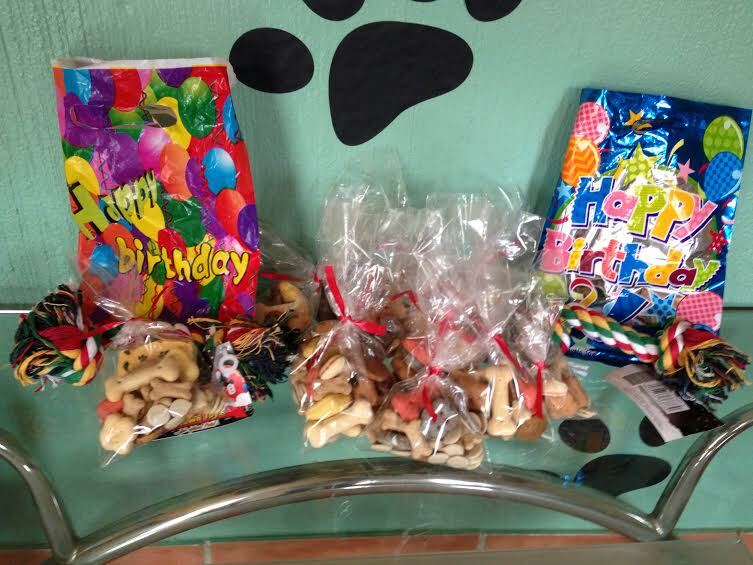 A nice idea instead of birhday presents, is to ask friends to donate goodies for animals living in the townships who are less fortunate. Please let us know if you do this and we will collect! All this for just R600 with R50 being donated to PETS (Pet Empowerment in Townships). 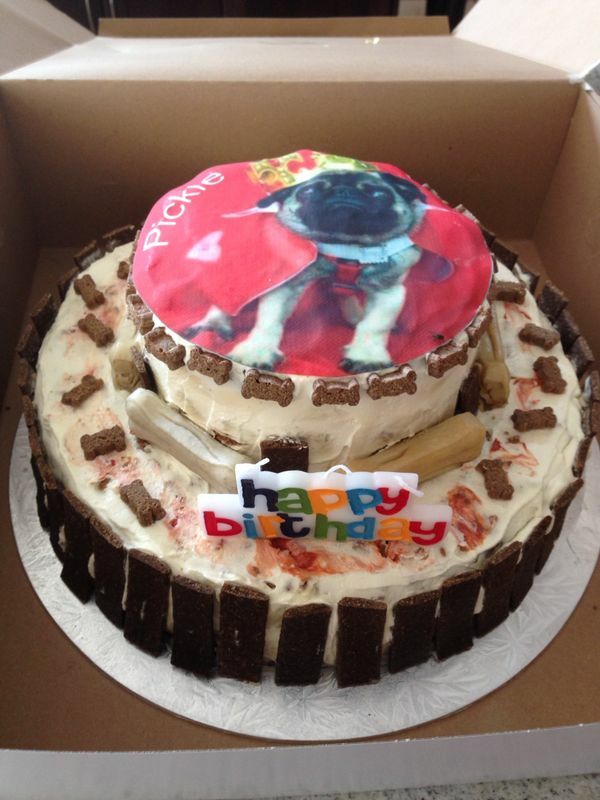 For a cake with a personalised picture of your dog on, please add R75. If you would like anything additional, please enquire with us.